The Casual Shoes are considered a good solution for the everyday use. Men always like to get the perfect shoes with comfortable features. Casual wear shoes provide special features to the customers. Users can wear these shoes anywhere in the city for different types of occasions. A great range of stylish and trendy shoes have been prepared with first copy condition in order to facilitate the customers with best options. These casual shoes have been made for comfort on each step. Men will feel very smooth steps with an attractive look. 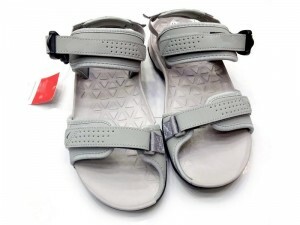 The casual shoes having special surface with shining polished appearance allows the users to get cool look. Try the best Casual Shoes in Pakistan for the new experience. These casual shoes are available in different colors and users can try the black, brown and blue in a stylish combination while the casual shoes price in Pakistan is ranging from Rs.1000 to Rs.5000 based on quality, material and manufacturer. The footwear with ideal look and appearance enables the men to get a unique style. These casual shoes are suitable for all types of dresses. This is why the Casual Shoes are preferred by most of the men. Actually, it is very simple to match the shoes with western as well as conventional dressing styles. Try the special Casual Shoes in Pakistan available at PakStyle.pk offered by different online shoes sellers to experience the true sense of online casual shoes shopping in Pakistan backed with Free Home Delivery.